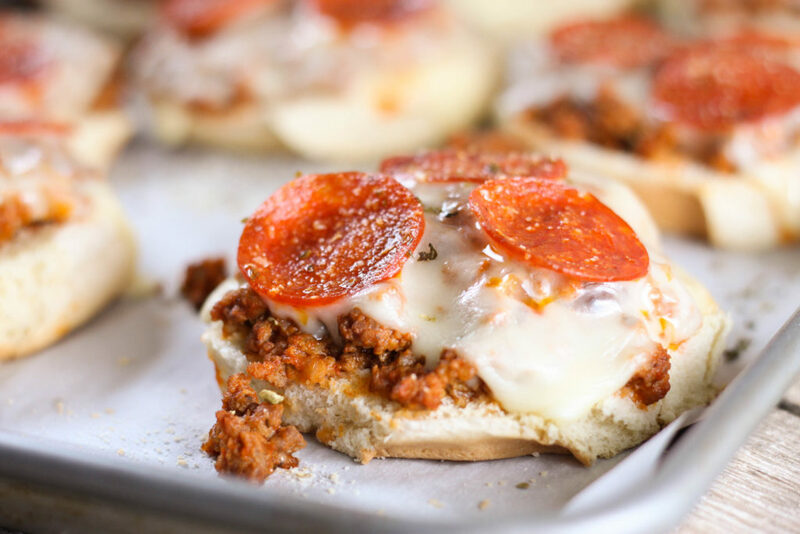 Pizza Burgers are a fun twist on Pizza Night that everyone will love! 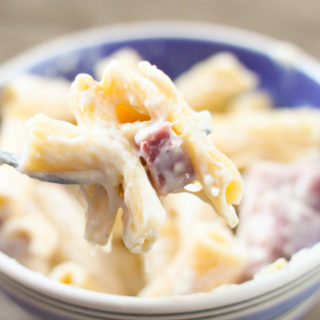 This recipe can be adapted with your families favorite pizza toppings. Our family LOVES pizza! So I am always looking for fun new ways to make it knowing that the boys will gobble it right up! 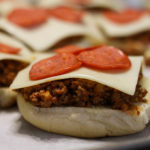 We are a pepperoni pizza family but I love all different kinds of toppings so I love that this recipe can be individualized. This recipe is kid-friendly and you can customize each individual pizza based on what that person likes. 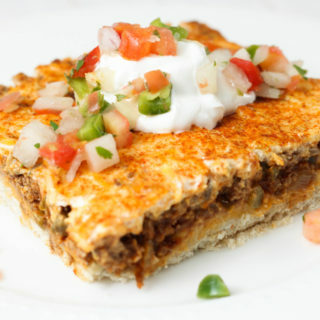 I usually use half ground beef and half sausage when I make this recipe for a little extra flavor. You could use either all ground beef or sausage. Other topping ideas would be peppers, mushrooms or olives. I have been buying the Prego Veggie Smart Pizza Sauce to use in recipes like this as a sneaky way to get some more veggies in our diets. 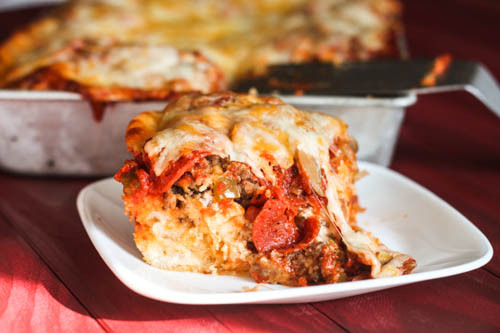 If you like this recipe you might also like our Deluxe Pizza Biscuit Bake. In a large skillet brown the ground beef until no longer pink, drain. Add pizza sauce and salt and pepper. 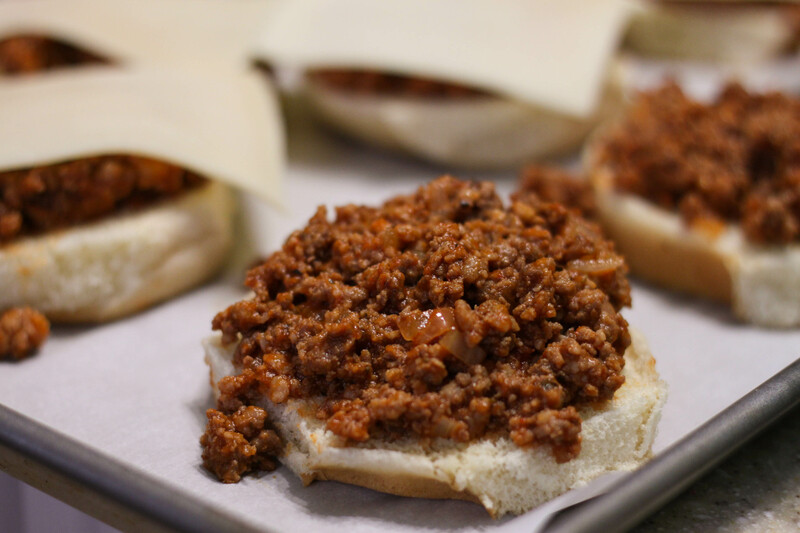 Scoop beef mixture on half a bun, using about 1/3 cup beef mixture per bun. Repeat for remaining buns placing buns on a cookie sheet. 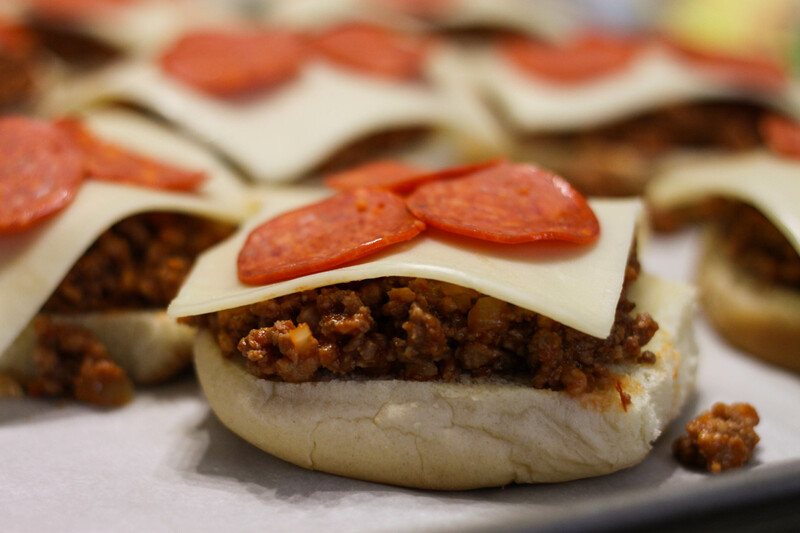 Top all buns with a slice of mozzarella cheese . Place pepperoni or favorite pizza toppings on top of cheese. Thank you for sharing how to make these. 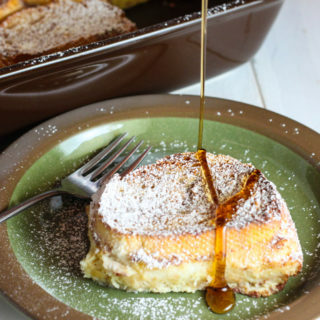 My husband has had a craving for these, and I wasn’t sure how to make them, lol. A combo of the two best things!! I love these!